The 2016 Edition of GDG Wisdom. A collection of tips, notes and reference for and by Google Developer Groups. 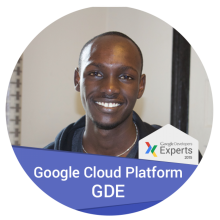 The 2017 Edition of GDG Wisdom. A collection of tips, notes and reference for and by Google Developer Groups. A sandbox for GDG Summit Attendees to explore GitBook usage, and capture useful content for the final GDG Wisdom book.